Marketing today is undergoing a tremendous shift from the “outbound” methods of the past to the “inbound marketing” methods focused on attracting visitors and prospects to your website where they can become leads and customers. Inbound marketing is here to stay. While there are a dozen details to consider in tackling inbound marketing, perhaps the most vital is highlighted in another term for the technique: content marketing. Inbound marketing requires content. Not just any content, but valuable content that meets the four criteria of telling a story while being useful, findable and shareable. If you still aren’t convinced that content is important, ask your peers. A 2015 study by Ascend2 of marketing, sales and business professionals showed by 72 percent considered content creation to be one of the most effective search engine optimization tactics they employed. Yet 46 percent rank it as one of the most difficult tasks. 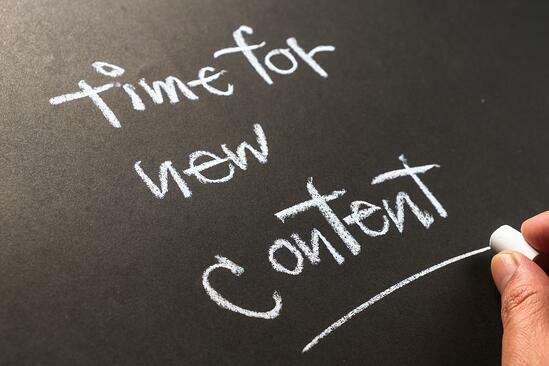 Inbound marketing requires content. Not just any content, but valuable content. Assigning writing duties to the newest or most inexperienced staff. Not giving writers time to focus on writing. Yes, I know, not all content is written words and text. At least it shouldn’t be. But enough of it does involve writing that you need to make quality writing a priority. So, why are these mistakes harmful, and how do you correct them? Read on. Don’t assume writing quality inbound marketing content is easy. 1. Assigning writing duties to the newest or most inexperienced staff. How often do you, by default, drop writing assignments in the lap of the college intern or junior staffer with an assumption that “anyone can write this?” All too often, the delegation of writing goes to the person at the bottom of the ladder, supposedly freeing up the time of senior staff members for the “higher level” tasks of strategy or market research. There is some merit to the idea that creating content is a good way for new hires to learn about the company, but in order for the content they create to be successful, you need to know they are good writers before assigning the project. If not, your team will either be turning out sub-par content or wasting the time of both the junior staffer who struggled to write it and the senior staffer who had to edit it into something usable. 2. Not giving writers time to focus on writing. Even if you have recognized that writing shouldn’t be something shoved off to the side to be done by the newest members to the team, you may still be sabotaging your content creation efforts by not providing your writers with the time they need. If you are crippling your content marketing’s potential by not putting enough emphasis on creation of quality content, here are three ways to put the priority back on great writing. It is easier for a great writer, with both a natural flair and a rock-solid base in the rules of grammar, to learn about your business than it is for someone who already knows the business to develop the writing technique that differentiates mediocre content from truly great content. Does it make sense to bring a dedicated writer on board? While it may take them a few weeks to learn the ins and outs of your business, it will be simpler to correct a few details in strong writing than it is to transform poor writing into the content you need to drive results. 2. Let your writers focus on what they do best. Good writing takes focus and practice. If you can’t bring someone new into your staff, identify your best writer and let that person focus on writing, with the distractions of unrelated tasks. By consolidating writing duties, you also ensure a consistency to the content that is created, from blog posts and website copy to lead nurturing emails and social media posts. Good writing takes focus and practice. Even if others are involved in writing, such as inviting someone from another department to contribute a guest blog post, have your designated writer and editor work with the content to make it the best it can be. One other possible solution to your content creation dilemma: work with an agency that does the screening and editing for you. JONES closely screens prospective writers to ensure that the content we create for our clients is the best it can be; all of our writers have solid credentials and more than 10 years experience. Read more about our approach to content creation in Write it Right: The JONES Solution or take a quick glance at the advantages available in Benefits of Content Creation with JONES. Or talk to me about your content creation needs by scheduling a free 45-minute consultation. With focus and expertise, your inbound marketing content has the power to generate leads and drive sales. Don’t waste the opportunity on material that doesn’t stack up.